In these “foxy times” I went for a trip to Dovre Mountains in the central part of southern Norway to photograph the Arctic Fox. Only a few years ago this would be almost impossible, the species was nearly extinct in Norway. Thanks to a successful – but still fragile – project started in 2007, the population now is growing. In 2007 two full grown Arctic Foxes were placed on Dovre, and in 2011 there were registered 40 Arctic Fox puppies. However, in 2012 there were only one known litter of free roaming Arctic Fox in whole Scandinavia! In 2013 there are registered 14 dens and minimum 99 puppies on Dovre (Snøhetta region). Still a small number, but growing. In summer time the Arctic Fox depending especially on lemmings, but also rodents in general, eggs and chicken. 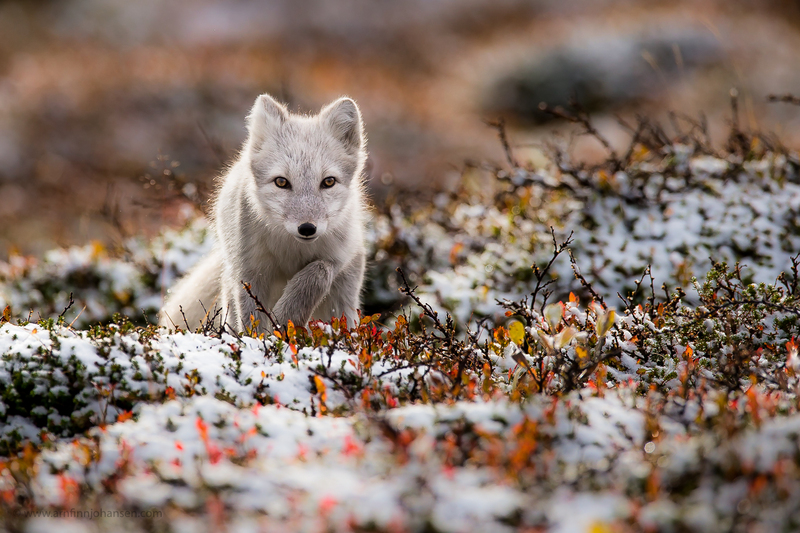 The number of Arctic Fox litters can vary a lot relative to pray population variation. 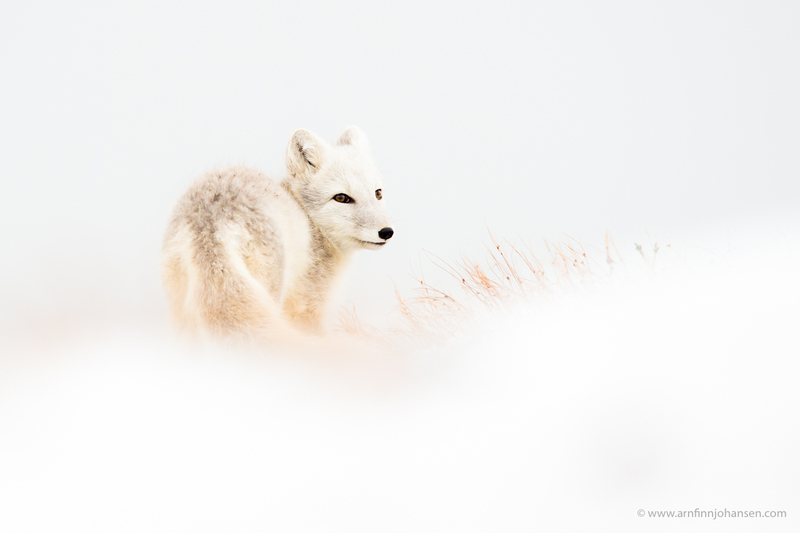 When the prey is scarce, the Arctic Fox scavenges the leftovers of larger predators. In winter time in the Arctic, this means for example ringed seal carcasses left behind by the Polar Bear. But in the high mountains of mainland Norway in winter time the Arctic Fox also depending on Reindeer carcasses left behind by the Wolverine. So what does the fox say? If one shall succeed in still having growth and stabilize a minimum viable population of the Arctic Fox in the Norwegian mountains, one also need to facilitate a sustainable Wolverine population. 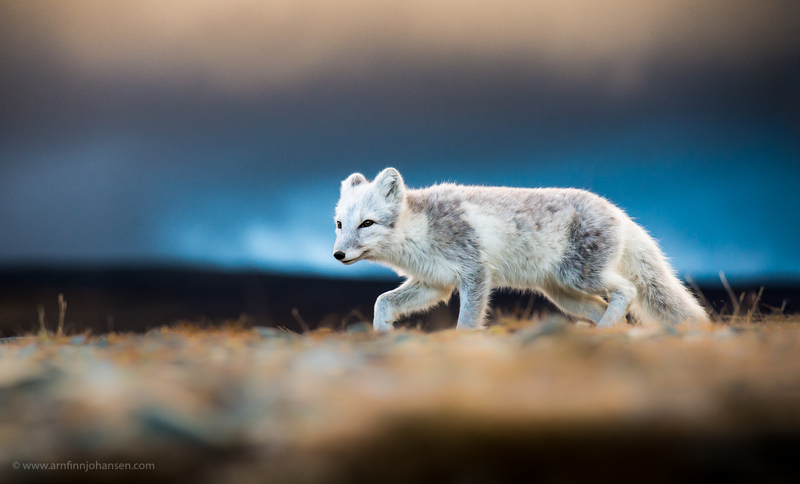 Below you find some fresh images of Arctic Fox taken on Dovre in September, 2013. Please click on the images to enlarge and see them in 1400px quality. And here is the YouTube link to the nowadays even more famous Norwegian foxes… Not that serious maybe, but great fun! Check it out; What does the fox say? Nikon D4, Nikkor 70-200/2.8 VR II, 1/640 sec at f/5. +2/3 EV, ISO 2000. 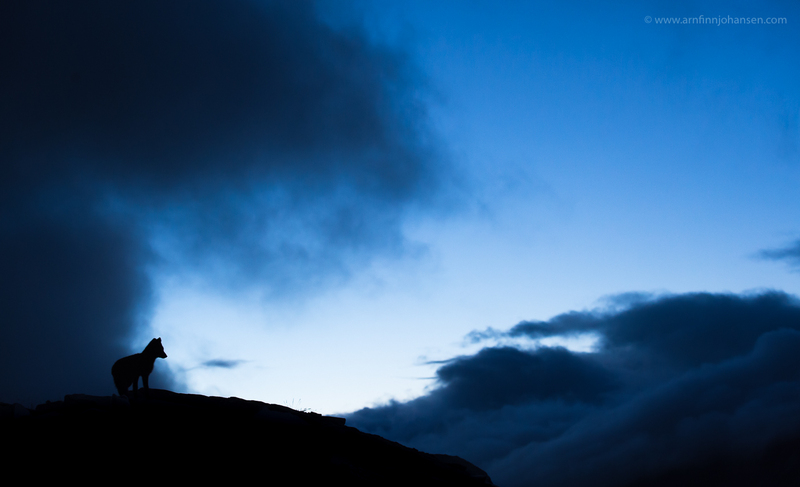 #2 Arctic Fox after sunset. Nikon D4, Nikkor 70-200/2.8 VR II, 1/800 sec at f/4.5. -1,3 EV, ISO 1100. Nikon D4, Nikkor 600/4 VR, 1/1000 sec at f/8. ISO 640. Nikon D4, Nikkor 600/4 VR, 1/1250 sec at f/5.6. +1,3 EV, ISO 800. Nikon D4, Nikkor 600/4 VR, 1/800 sec at f/5.6. +2 EV, ISO 800.
https://arnfinnjohansen.com/wp-content/uploads/2018/01/201309-Fjellrev-505-Edit-Edit-Edit-2.jpg 417 834 admin https://arnfinnjohansen.com/wp-content/uploads/2018/01/ajwp.png admin2013-09-29 21:00:362018-02-01 18:57:25What does the fox say? Det var en flott serie av fjellreven dette Arnfinn. Det første og siste bildet falt veldig i smak. Skulle ha hatt meg en tur på Dovre selv. Stellar images you have shot there ! Wonderful work. I won\’t be surprised to see your 5th image being awarded in a competition ! Fantastisk flotte bilder. Det siste er utrolig! Førsteklasses vare som vanlig !!! Særlig det siste går hjem hos meg. Du var heldig som fikk den snøen !! congratulations Arnfin for the lovely images and specially for documenting the status about this highly endangered species of fox. keep up you good work and all the best. Som alltid svært bra jobba, med et for meg overlegent kunstnerisk høydepunkt, – nr. 3!!! Bakgrunnen! Og svarthvitt gjør susen her! Men det må opp i full størrelse for å komme til sin rett. Fjellreven bruker vi jo som eksempel på fragmenterte populasjoner og lite genetisk variasjon i biologiundervisningen. Artig at populasjonen nå er økende. Dette var fotografisk bra! Like spesielt gost #2, men #1 og #5 er også strålende. Bra jobba! 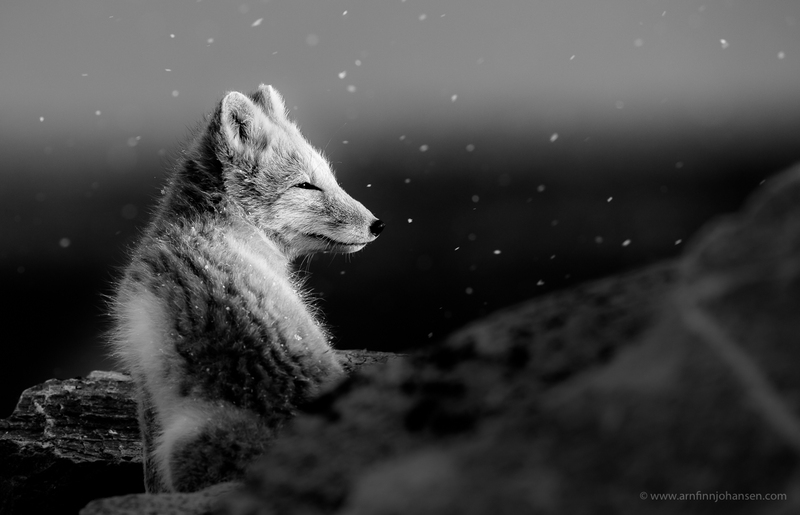 Arnfinn Johansen is a semi-professional wildlife photographer based in Norway. Besides running Arnfinn Johansen Wildlife Photography AS, he runs Oltepesi Tented Safari Camp, is photo guide at Zoom Fotoresor AB and Africa Geographic, and a member of Norwegian Nature Photographers Association / NN.